It seems like not everybody was happy with Beyoncé’s performance during the CMA’s Awards. Kenny Chesney looked unimpressed when Beyoncé and the Dixie Chicks appeared on the stage for a special performance of Drunk in Love. If you are wondering who didn’t like Queen Bey’s performance, then we have some information on Kenny Chesney’s wiki. Keep on reading. If you are a fan of country music, then you know about country star Kenny Chesney. He recently released his latest album Cosmic Hallelujah on October 28. He also received the Pinnacle Award during the CMAs. If you want to learn more about his life or Kenny Chesney’s girlfriend, then you need to keep on reading, as we have everything you need to know about Kenny Chesney. Whaere is Kenny Chesney From? Chesney’s birth name is Kenneth Arnold “Kenny” Chesney. He was born on March 26, 1968, and if you are wondering where Kenny is from, you may be surprised to know that he is from Knoxville, Tennessee. His parents are Karen Chandler, a hairstylist, and his dad, David Chesney, is a former elementary school teacher. Chesney has a younger sister named Jennifer Chandler. During his school days, Chesney used to play baseball and football. For Christmas, he received guitar and taught himself how to play it. He studied advertising from East Tennessee State University, where he would occasionally play gigs at local bars. In 1989, Chesney recorded his first demo album. He used to perform in local pubs and sold almost 1,000 copies of the album. The money made from the sale was used to buy a new guitar. Upon completing his degree, he moved to Nashville to further pursue his dreaming of becoming a country singer. It is no wonder why Chesney has achieved so much fame. His passion for music is seen in every song he performs. He has released over 15 albums, including: In My Wildest Dreams, All I Need to Know, Me and You, Everywhere We Go, I Will Stand, and All I Want for Christmas Is a Real Good Tan. 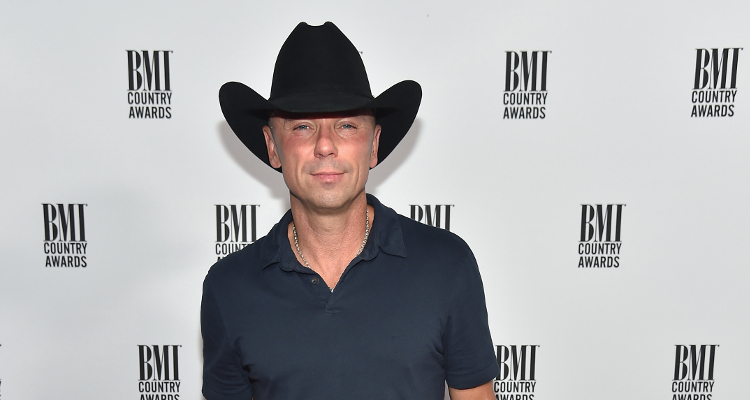 Who is Kenny Chesney Engaged to? Kenny Chesney and actress Renée Zellweger met each other in January 2005 during a tsunami relief event. After merely four months of dating, the pair decided to get married. However, in September 2005, just four months after their marriage, they announced their decision to get an annulment. Chesney later dated Miss Tennessee, Amy Colley, from 2008 to 2010. In 2010, there was a rumor that Chesney was dating ESPN sportscaster Jenn Brown. According to sources, the pair were seen spending some quality time in Mexico. Although there is no news about Kenny Chesney’s girlfriend, there was a beautiful lady sitting next to him on Wedneday night’s CMA Awards. There are also rumors that Chesney maybe dating Jamie Hill. Neither the actress nor the country singer has commented on this. So it’s all up in the air at this point! The 48-year-old country singer’s net worth is calculated to be $225.0 million. His annual income is estimated to be around $42.0 million. There are high chances of Kenny’s net worth to increase due to his fans and music career.